Deferred Tax Liability (DTL) or Deferred Tax Asset (DTA) item forms an important part of your Financial Statements. This adjustment made at year-end closing of Books of Accounts affects the Income-tax outgo of your Business for that year as well as the years ahead. Whether MAT credit can be considered as a deferred tax asset per AS 22? Company derives its book profits from the financial statements prepared in accordance with the rules of companies act and it calculates its taxable profit based on provision of the Income-tax Act. The tax effect on the timing differences is termed as deferred tax which literally means taxes which are deferred. Deferred tax is recognised on all timing difference – Temporary and Permanent. With respect to timing differences related to unabsorbed depreciation or carry forward losses, DTA is recognised only if there is future virtual certainty. It means DTA can be realized only when the company reliably estimates sufficient future taxable income. This test for virtual certainty has to be done every year on balance sheet date and if the condition is not fulfilled, such DTA/DTL should be written off. While computing future taxable income, only profits pertaining Business and Professional should be considered and not the income from other sources. Future profits projection prepared by an entity based on the future restructuring, sales estimation, future capital expenditure past experience etc which are submitted to banks for loan is a concrete evidence for virtual certainty. But virtual certainty cannot be convincing if it’s only based on some say binding export order which has the risk of cancellation anytime. DTA – Say Book profit of an entity before taxes is Rs. 1000 and this includes provision for bad debts of Rs.200. For the purpose of tax profit, bad debts will be allowed in future when it’s actually written off. Hence taxable income after this disallowance will be Rs. 1200 and let’s say income tax rate is 20% then the entity will pay taxes on Rs. 1200 i.e (1200*20%) Rs. 240. There is no DTA or DTL provisions made for permanent differences. Eg. Fines and Penalties which are part of book profits but never allowed for tax purpose. Hence this difference created will be a permanent difference. DTA is presented under Non-Current Asset and DTL under the head Non-Current Liability. Both DTA and DTL can be adjusted with each other provided if they are legally enforceable by law and there is an intention to settle the asset and liability on a net basis. Tax Holiday is a benefit provided to new undertakings established in free trade zone, 100% export oriented undertakings etc under section 10A, 10B of the Income Tax Act, 1961. To encourage production, consumption of certain items, the government removes certain taxes for a temporary period subject to certain condition. 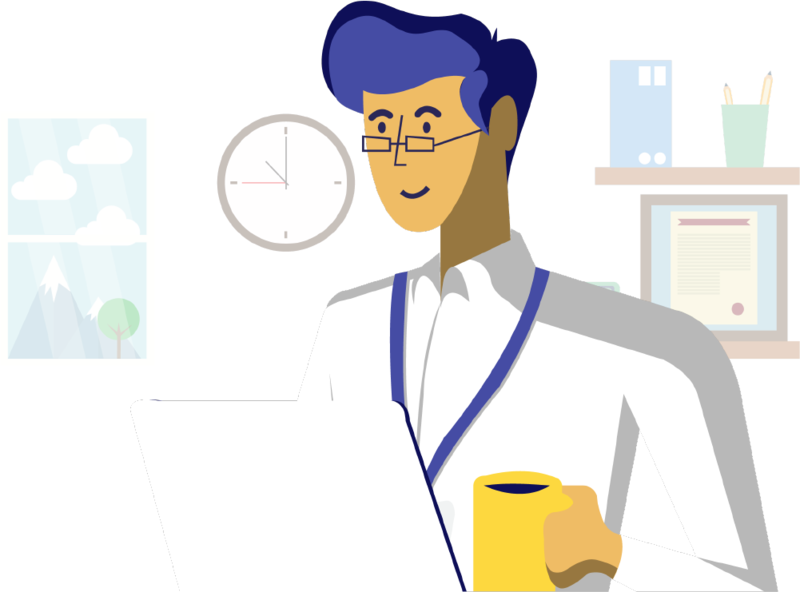 DT from the timing difference that reverses during the tax holiday period should not be recognised during the enterprise’s tax holiday period. DT related to the timing difference that reverses after the tax holiday has to be recognised in the year of origination. *Fully reversed after the tax holiday period. The total DTL balance at the end of the second year will be 126,000. Deferred tax credited to P&L etc. 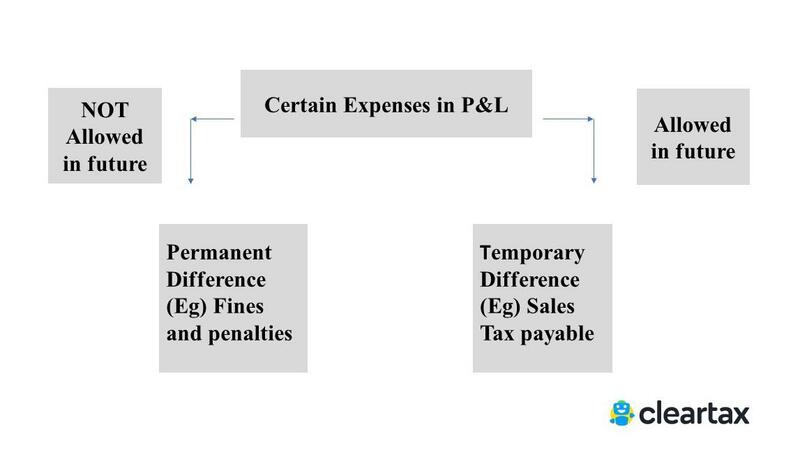 There are controversies if deferred tax liability debited to P&L should be added to the book income for the purpose of MAT calculation. Kolkata Tribunal in Balrampur Chini’s case has held that the deferred tax liability should not be added back whereas the Chennai Tribunal in Prime Textiles Ltd’s case has held otherwise. As seen, there are conflicting judgments on this and this requires clarification from the government or decision by the high court. As per AS 22 deferred tax asset and liability arise due to the difference between book income & taxable income and do not rise on account of tax expense itself. 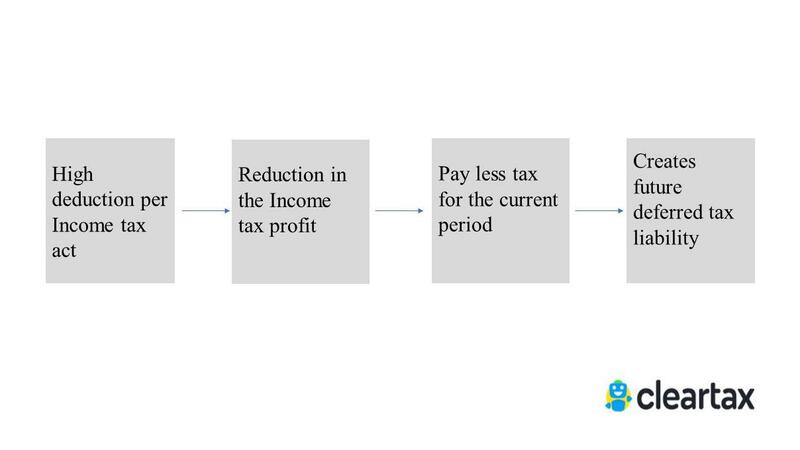 MAT does not give rise to any difference between book income and taxable income. It is not appropriate to consider MAT credit as a deferred tax asset in accordance with AS 22.